About 60% of college students buy a new computer, MP3 player, smart phone or other device. If you go all out, and get a new flat screen TV or other electronics for a dorm room, your costs can quickly skyrocket. In fact, behind the clothing, shoes and collegiate gear category, the largest portion of college shoppers’ budgets is spent on electronics — about $203 annually according to data from the National Retail Federation. 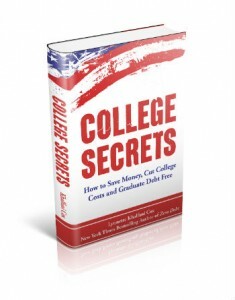 As with all college spending, students and their parents shouldn’t needlessly splurge on the unnecessary stuff. 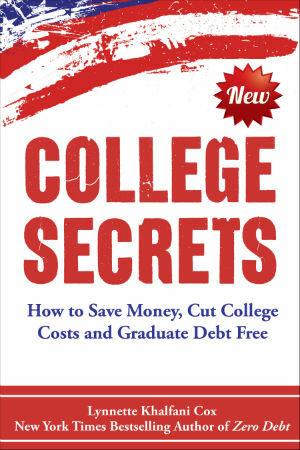 There are already enough big bills associated with paying for college when you look at price tag of tuition, fees, room and board. So it’s wise to refrain from buying items that simply cater to lifestyle preferences but aren’t really essential to college life. These lifestyle costs – especially electronics – are one of those sneaky, hidden college costs that I reveal in College Secrets. Whether you’re working towards getting your diploma, you’re the parent of a child earning a degree, or if you know someone struggling to make it through school, here are five tips to help college students save on electronics. Don’t try to impress roommates and others with the latest gadgets and tech toys — even if they are “cool” and fun. One problem with keeping up with the Joneses is that the cycle of spending can never end, putting a serious dent in your budget and your long-term financial security. Do I really need to say that it’s probably a bad financial decision if you find yourself regularly standing in hour-long lines at the cell phone store, trying to get your service reconnected as you peruse the latest, greatest model of the “best next-generation” phone? You should just mail in your payments and forego the additional sales pressure to upgrade. Staying out of that cell phone store will also help you avoid unnecessary temptations to buy yet another cell phone. If you have to purchase a new computer or laptop, comparison shop and use sites like TigerDirect.com, which regularly features liquidation sales from various merchants and retailers. Look for deals and coupons on computer software too, which is frequently discounted up to 75% for students. If you’re a Mac computer lover or an Apple loyalist, you can save money by purchasing refurbished instead of a brand new Apple product. If you need a new tablet, does it really have to be a Mac product? How about a $38 tablet that’s all the rage? You might check out the new UbiSlate 7Ci from DataWind and decide that it’s not for you. Then again, you may fall in love with it. Either way, at least you know that this low-cost 7-inch Android tablet exists and that it’s about 15 times less than the latest Apple iPad or Samsung Galaxy Note. In fact, for those on a tight budget, the UbiSlate tablet also happens to currently be the least expensive tablet computer in the United States. Regardless of whether you buy electronics from a well-known brand or some manufacturer you’ve never heard of, don’t forget to take advantage of any student discount you might be offered. Many electronics retailers have specialized pricing and discounts for college students, so be sure to inquire before making your final selections. One final tip regarding electronics — retailers typically try to sell you extended warranty protection when you are buying electronic gadgets, computers, and appliances. Do your homework before you shop. You may already have an adequate warranty from the manufacturer and the credit card that you choose to use may already give you an extended warranty. If so, pass on a retailer’s warranty offer. All these five ideas are quick and easy ways for college students to save money on electronics, without feeling like they’re totally deprived during their college years.